If views, privacy, open floor plan, great school district and convenient location are important to you, then this might be yours! 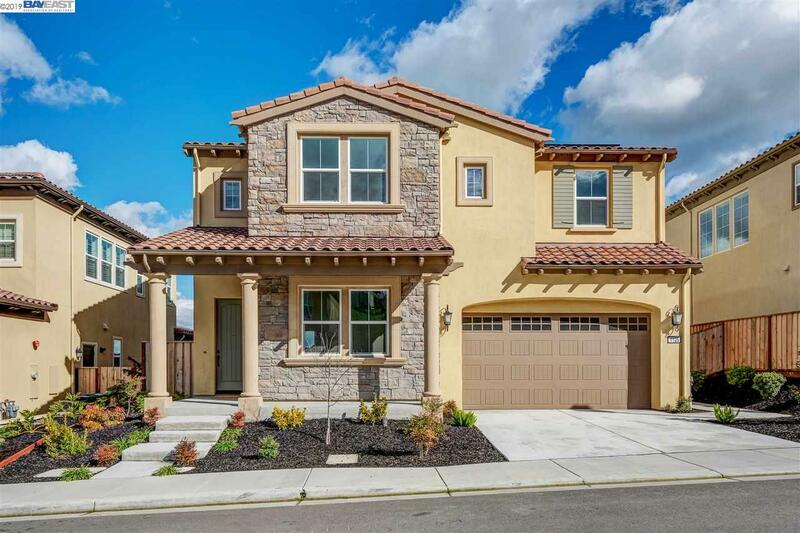 Built in Oct. 2017 by Toll Brothers, this 4 bed and 4.5 bath home has sweeping views to the Gale Ranch valley and Mt. Diablo! It has 3222 SQF living space in a 5230 SQF flat view lot with glass backyard fences. It is open, airy, bright and spacious! The main level features a spacious foyer, flexible open great room, gourmet kitchen, dining, powder room and 1 bed suite with private bath. The 2nd level has spacious master suite with breathtaking views, 2 guest suites, loft and laundry room. Each suite is thoughtfully laid out to ensure optimal privacy. Extensive mill works including window casings & sills, tray ceilings, crown moldings. Owned Solar. security system, professionally landscaped front and backyard. Close to top-rated schools, parks, grocery stores, restaurants, shops, newly completed upscale City Center, BART and 580/680 freeway access.